Our Tree Service also have reliable Liverpool Landscapers that specialise in all Landscaping services. 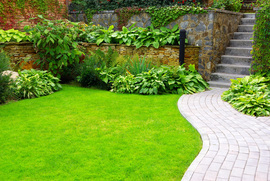 Click here to call Liverpool Landscaping Service. ​Life speeds on these days it feels like you blink and the month as gone. Leisure time seems less and less and sometimes none existent. No-one wants to spend their free time digging in the garden or wedding when you could be off enjoying life. Let us take all the stress of this away, we can help you create or maintain any gardening requirements you have, leaving you free to enjoy your garden. So, you probably want low maintenance, nearly everyone does but also a place where we can enjoy and relax in. Fresco dining is popular now, and BBQs are great for families and sharing with friends. We can create your perfect place. From the sounds of water or just a peaceful place to sit. We can make your garden dreams come true, at a very good competitive price. Once we've chatted and visited your garden, talked over your plans and your needs, we can design plan and build your perfect landscape. We can always prioritise those elements of your garden that maybe you don’t want to change but keep and incorporate into the new design. This enables you to free yourself up, to change what you want as you and your needs change, so you can add things over the years as your lifestyle changes. Whether you’re a traditional person with traditional needs or a minimalist, we can do it all. Maybe a traditional stone flagged patio, a timber deck with pergola, or maybe you want to bring your visit abroad to your garden. Or a simple water feature gives us a call and let us build your dream haven. At Liverpool Landscapes, we work with the highest possible quality products and materials. 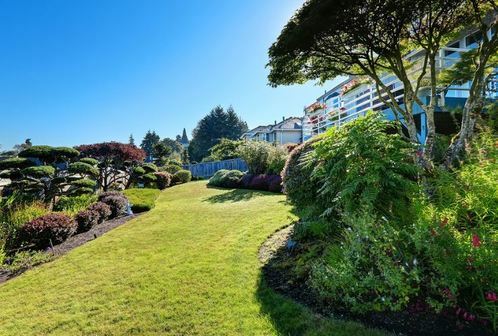 This ensures you a five-year guarantee, which we also provide as a part of our service and any free landscaping quotes you require for insurance or other purposes. We are supplying business all over Merseyside and will always advise you with any questions or queries you have. We have an excellent staff that are the best tradesmen any business would be proud of. They are all employed full on a full-time basis and have served their time qualifying in all aspects of landscaping. We’ll not leave your property until you’re completely satisfied. Liverpool Landscape Gardeners are truly the professionals you need; we have been in the number one fencing business now in Liverpool for many years. Our team can do anything you require, either repair a damaged and existing fence or supply a brand new fencing, to whatever your needs are, either residential or commercial clients. A newly installed fence is a new fresh, fantastic way to freshen up your garden. Defining boundaries or any design you have in mind, with a high-quality fence you can create many attractive features, i.e. backdrop this is one idea that could be a vital part of creating a beautiful garden. Fences can be decorative or functional may be creating a division or maybe both separating vegetation from others. We have been established now for many years and are one of the best leading driveway specialists in this area. We pride ourselves Making a lasting impression on our customers with our quality driveways. With this in mind having the addition to not only improving the look of your home, but you can also improve significantly increase and add a lot of value to your property. There are so many different driveway products available now for you to take advantage of. From some of the economical ranges, which can be used to create many beautiful yet practical surfaces, the list these days seem endless. We have so much choice and designs, through to more elaborate designs which, and are obviously more costly, but having the exclusive look as well as remarkable. We offer so many different ranges with different installations. Different in some being, from printed concrete to block paving and coloured gravel driveways. Our experience spans from all sorts consisting in commercial and residential work, creating some of the most prestigious driveways for a wide range of property styles. We can build you the most will beautiful driveway which will become the best and striking addition to the general appearance of your home. No matter what driveway you have in mind or kind of material you choose, the overall look and appearance, will most certainly add value to your home.You can’t imagine that a driveway could be the one to change your assets value. This is one of the first things people notice when looking at your home. Our trained motivated staff have the expertise to keep your garden in excellent condition. Give us a call today on 0151 541 0500 for more Landscaping information, or fill out our form over on the right-hand side for a ‘No Hassle Guaranteed’ FREE quote. We pride ourselves in our landscaping services at affordable prices in the Liverpool area.